I don’t know if anyone else finds this but Friday always seems to be quite a reflective day for me, a chance to look back on the weeks work and reestablish where things are going for the next week ahead. So being Friday I thought I’d bring across a little documentary style film which is quite reflective in it’s nature, as it follows the lives of two Japanese potters who are dealing with life after the terrible natural disasters that recently hit Japan. We’ve often taken inspiration from Japan as the Japanese seem to look a lot deeper into everything around them, particularly if they’re making something. Their eye for detail and concept behind each creations is always second to none. So in the film below it was great to hear how these two individuals have used their craft as a vessel to deal with the terrible situation that the country has found itself in. I’m really in awe of their attitude and love the quote “people who create things pull themselves up by creating” which I think really does summarise their determination to rise above all that life throws at them through creativity. 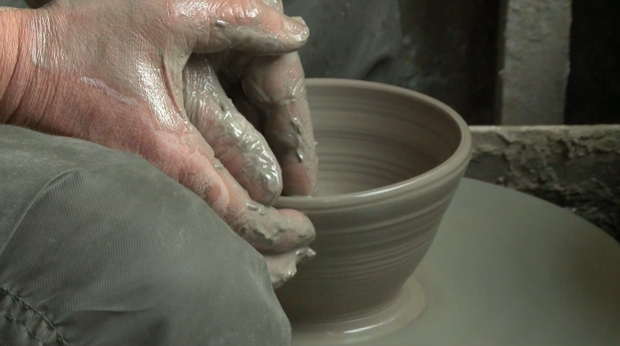 The truth is this film isn’t really about pottery, it’s about life and how you deal with the difficulties that this world can present you with. It’s a reminder to us all of the opportunity we have each day to cherish everything and everyone around us, a reminder to stay humble and to work hard. With all this in mind I’d just like to say a massive thank you to each of you that have supported the shop thus far, the past two weeks have been very humbling indeed. Update: Yuki has just launched a Kickstarter campaign to raise funds for the finishing of this film. Head over that way to support it.